Wastepaper Prose : FORGET-HER-NOTS Contest Winners! First off, thanks to everyone who entered. All 302 entries have been tallied! I organized them in a manner that only I would understand before I went to random.org and asked it to spit out two numbers. Both numbers ended in 6 which I thought was weird, but that has absolutely no bearing on anything really. I just thought I would share. 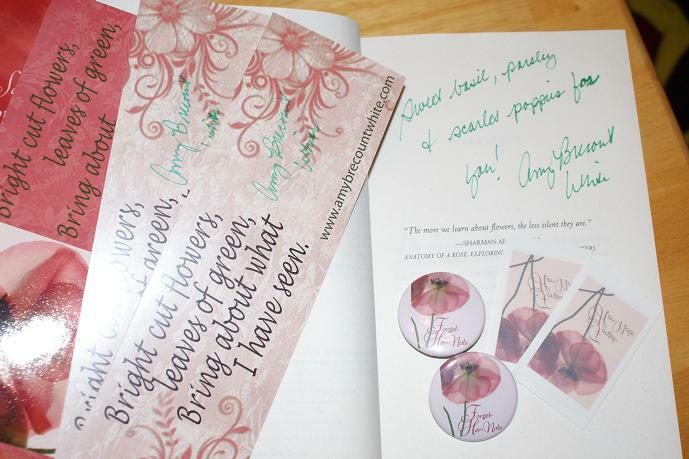 A signed copy of FORGET-HER-NOTS and some super cool swag goes to... Jade. A FHN swag pack, complete with signed swag goes to... Elizabeth. Congratulations ladies! I have e-mailed you both. Please respond with your mailing address is 48-hours or a new winner will be chosen. WARNING: I'm jumping on my soap box. I guess what I'm saying is that there are more contests coming up and following directions is key. I don't want to eliminate you on a technicality! Really I don't! Also, in this contest and the last one I had numerous people not leave an e-mail address. It hasn't been a problem yet, but I don't want it to become one. The moral of this story is that leaving an e-mail in your comment makes our lives easy. You get cool books in a timely fashion and I am a happy blogger. Capish? Congratulations to Jade and Elizabeth!